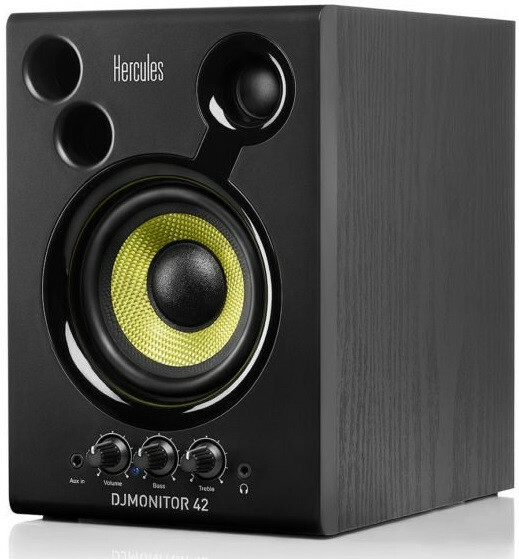 Par Monitores Ativos DJ Hercules DJ MONITOR 42. 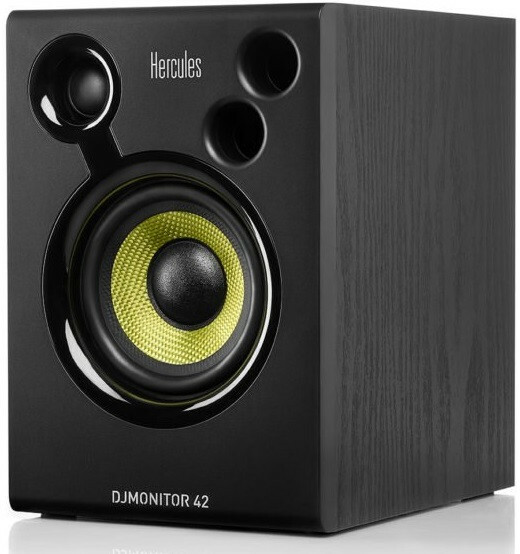 The DJMonitor 42 speakers are ideal for setting just the right mood: not too big or too small, they fit perfectly into any setting and provide an incredible ambiance! 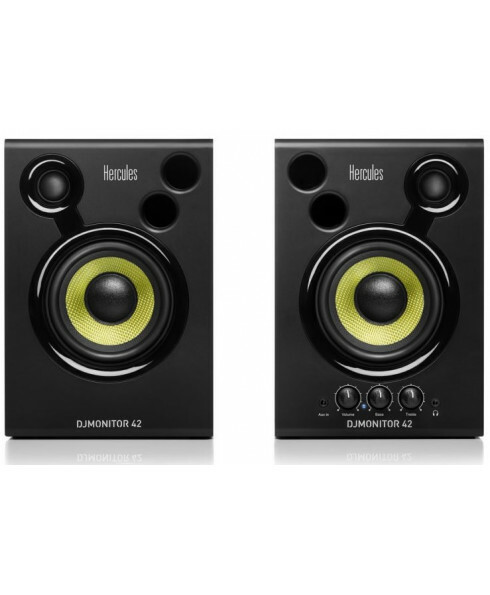 Refine the mixes that you create with high-quality speakers for powerful, clear audio rendering. The DJMonitor 42 speakers are ideal for setting just the right mood: not too big or too small, they fit perfectly into any setting and provide an incredible ambiance! 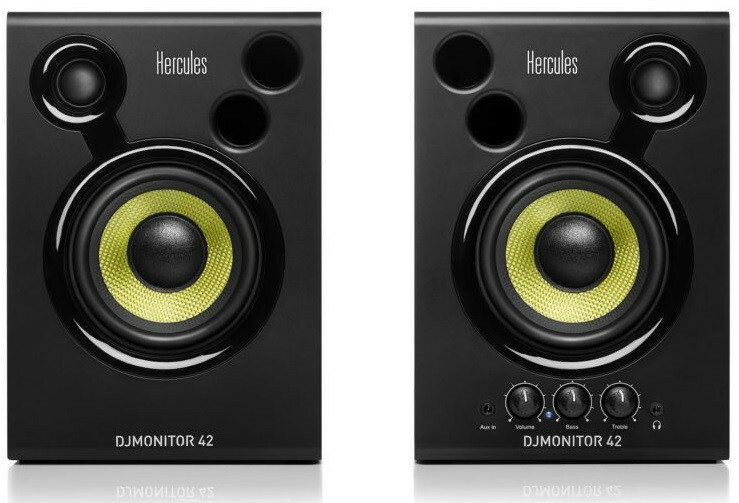 The Hercules DJMonitor 42 active monitoring speakers have been designed with high-end components for optimal precision and sound reproduction, and exceptional listening quality. 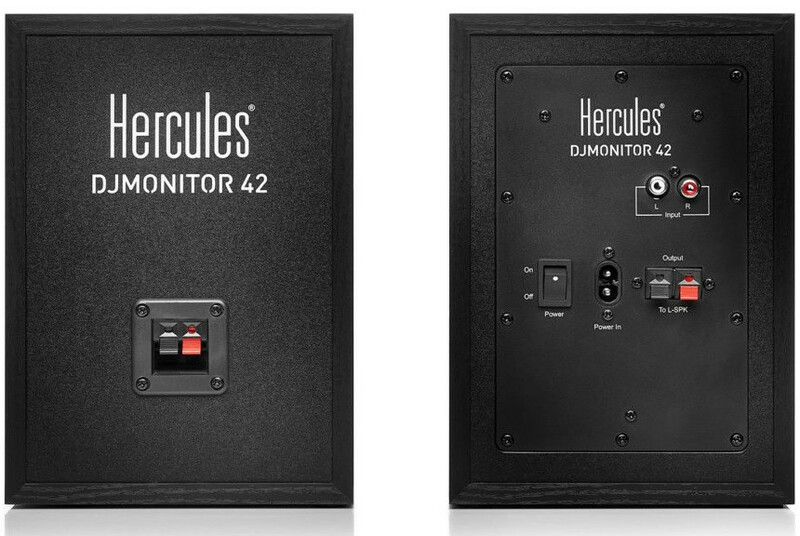 Hercules’ engineers took the greatest care when developing the Hercules DJMonitor 42 speakers in their own professional anechoic chamber. Input from specialists in the world of DJing and an in-depth study by audio professionals allowed for optimization of the speakers’ performance. 4-inch woofer. Shifted vents and tweeters for great sound spatialization. For optimal positioning of the speakers, there should be a 60° angle between the two satellites, and between the user and the satellites. It is also important that the speakers be positioned at a height whereby the listener’s ears are level with the midpoint between the speaker’s tweeters and wideband drivers. Shifted vents and tweeters for great sound spatialization.